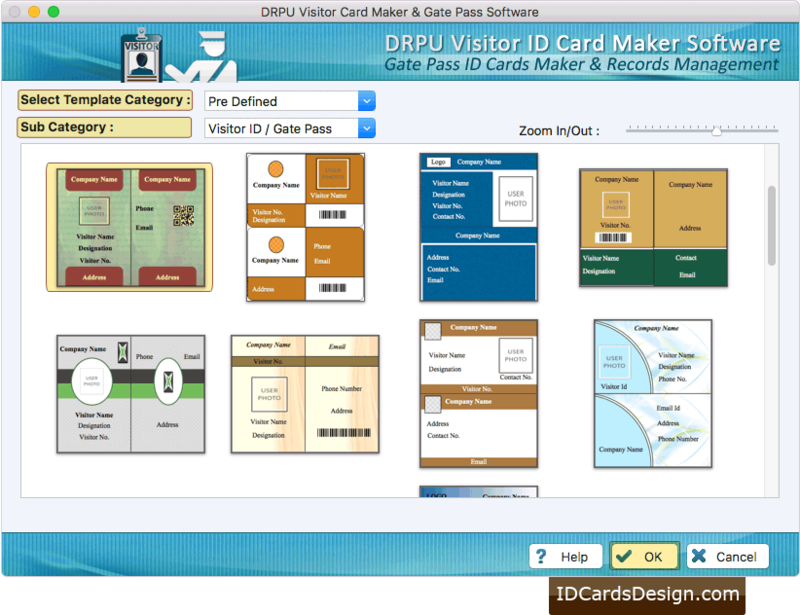 Select any one pre-defined template for designing visitor ID Card or Gate Pass. 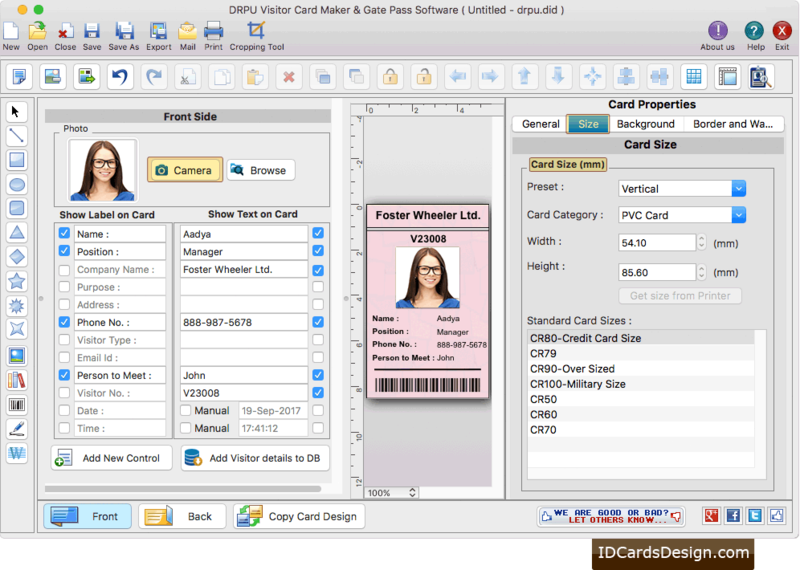 Fill ID Card details on your visitor ID card. Camera option is also available to take the picture of visitor and add on your ID card. You can search particular visitor's details by Name, Company Name, Address, Phone No.,Email, date range etc. 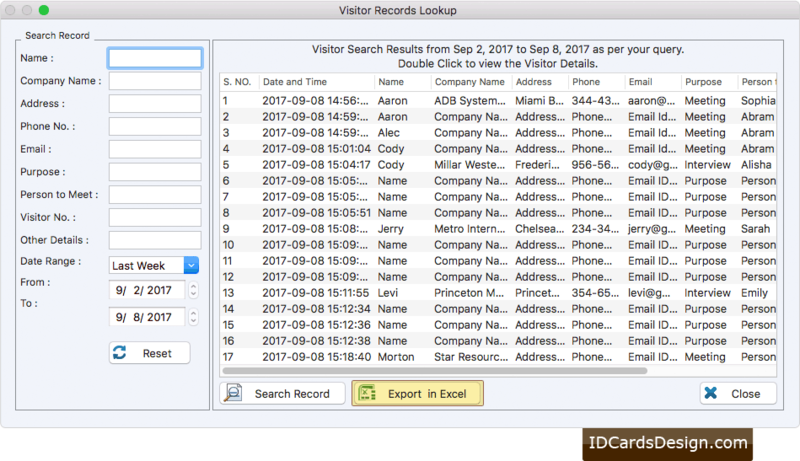 You can also export these visitor's records in Excel file format. 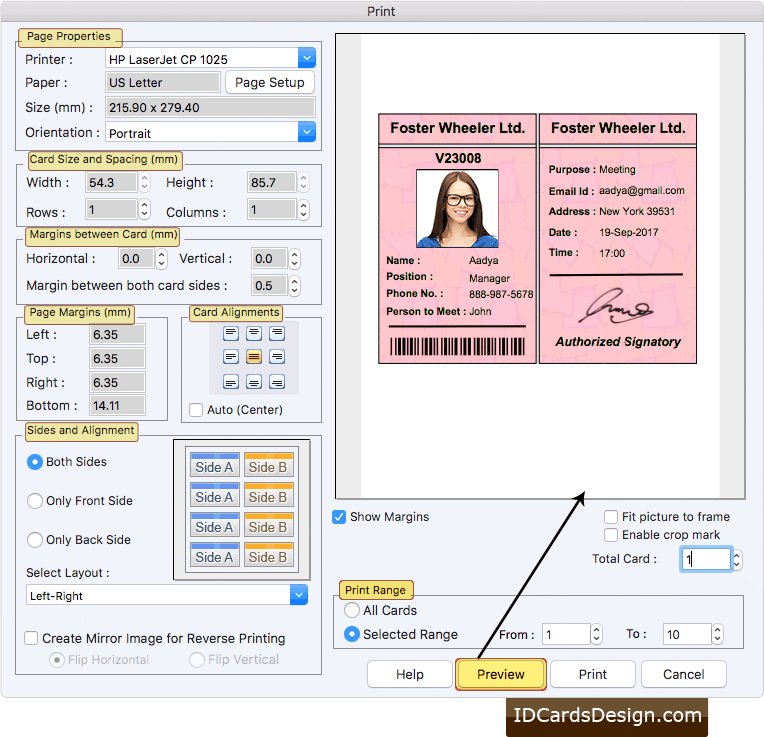 Set all print settings and click on 'Print' button to print designed visitor ID Card. You can see the preview of your designed ID Card using Preview button.